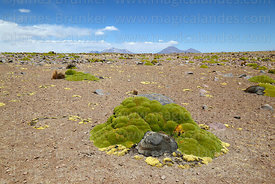 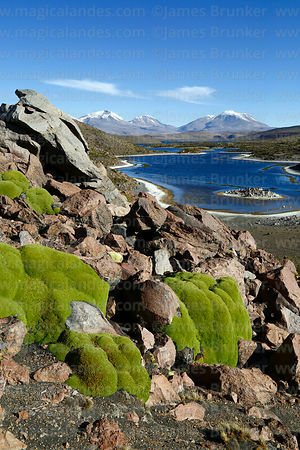 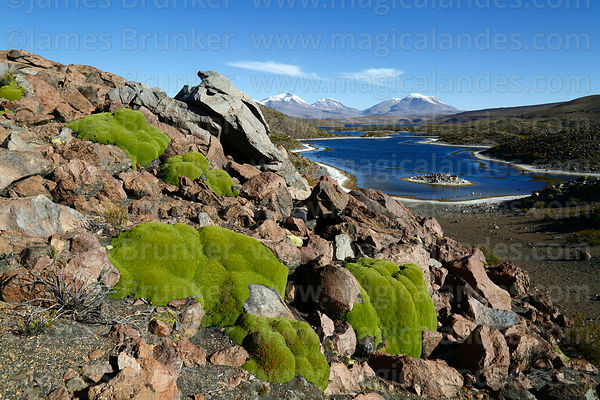 Yareta (or llareta, Azorella compacta) is a member of the Apiaceae family (the same as celery and parsley), though it looks more like a moss. 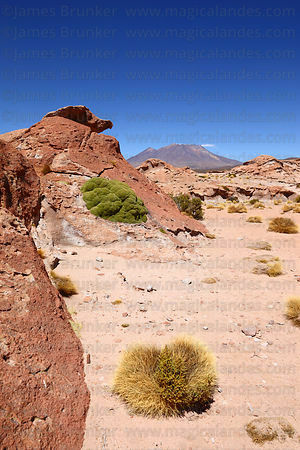 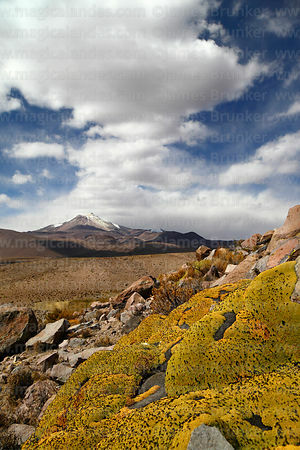 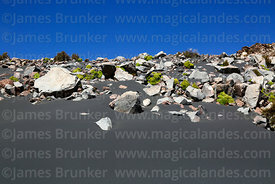 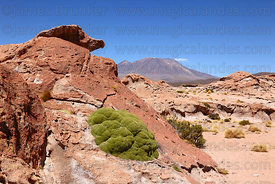 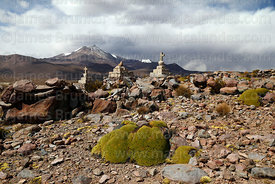 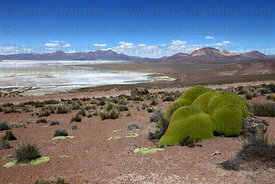 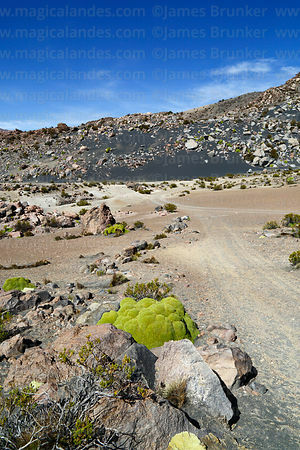 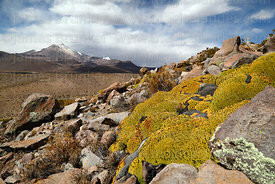 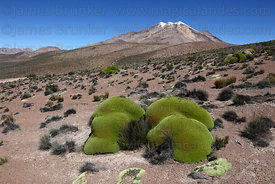 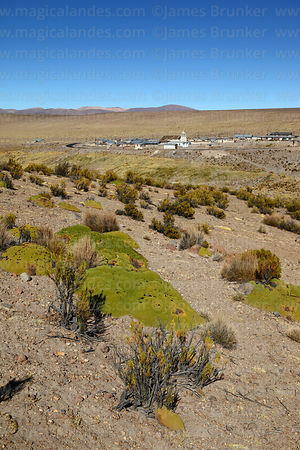 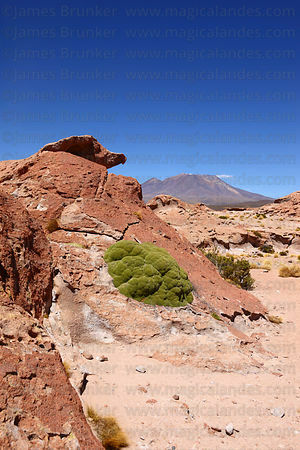 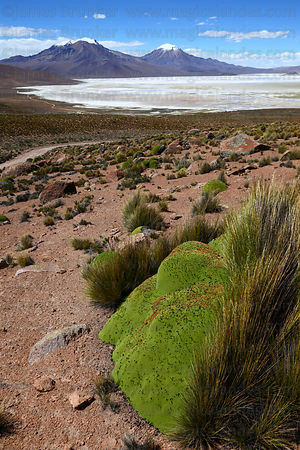 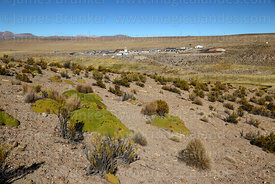 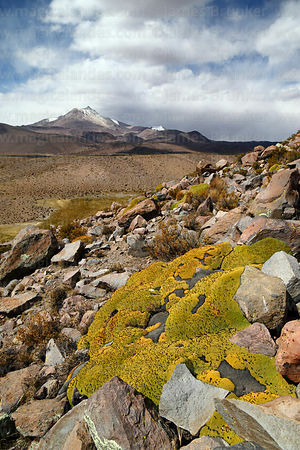 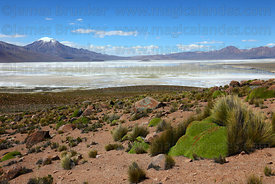 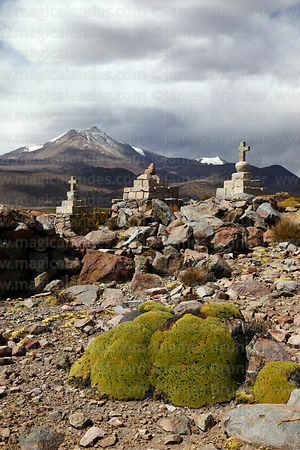 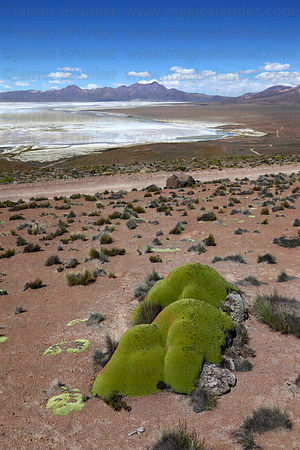 It is an evergreen plant and found in the dry puna grasslands and high altitude deserts of Peru, Bolivia, northern Chile and northern Argentina, usually above 3200m / 10,500ft. 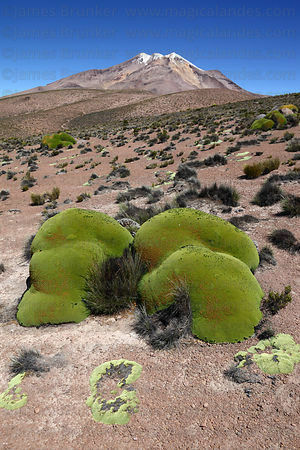 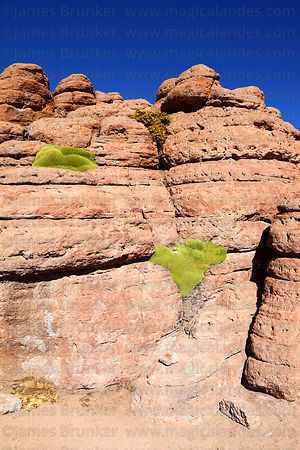 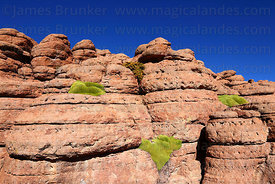 Due to the cold, dry climate in those regions it is very slow growing (up to 1.5cm / year), meaning the largest plants can be over 3000 years old. 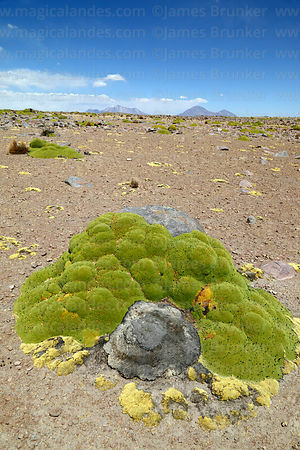 Traditionally they have been used by local people for fuel, a practice that is often unsustainable due to their slow growth rate.